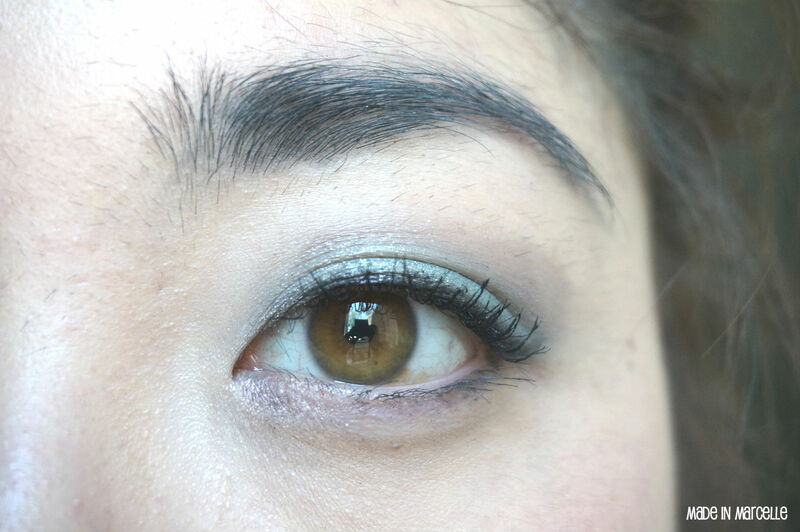 I have previously done a swatch/ quick review of circle lenses back in December which can be read here. And I'm excited to share with you a new edition to the family! 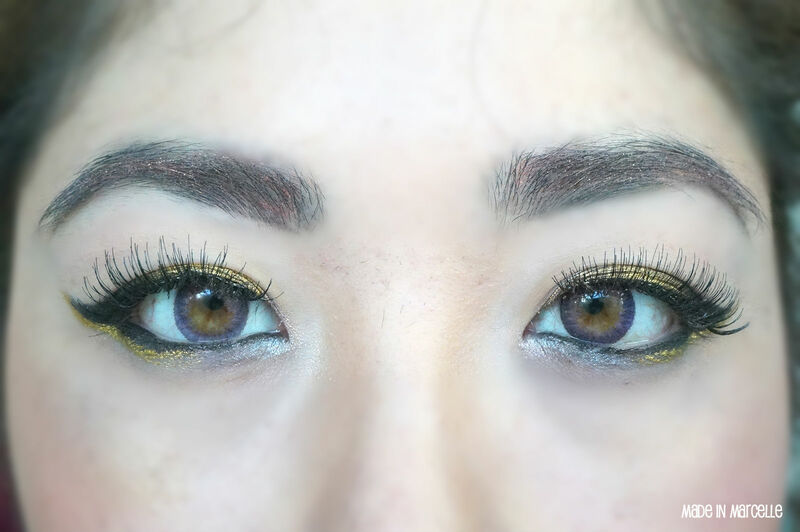 The violet pair (CM-905) has outer black rim, inner yellow colour and outer violet shade. 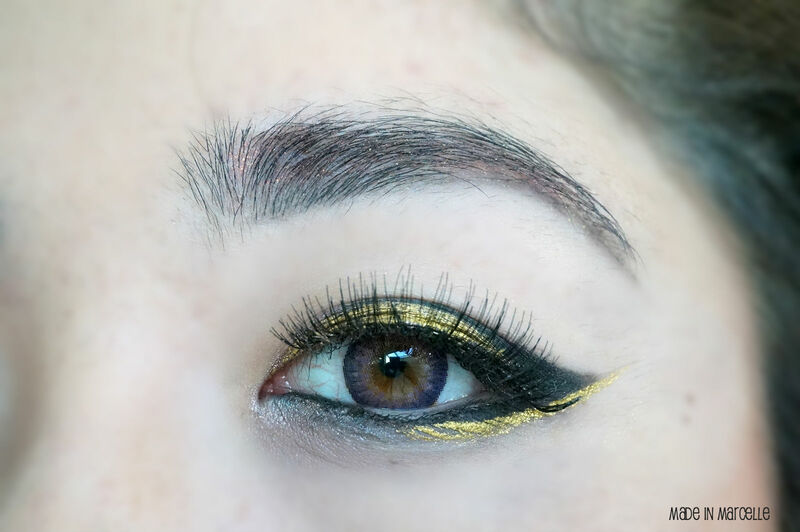 As you will see from pictures below I have naturally light brown/ hazel coloured eyes so the inner yellow colour helps to make the contacts look very natural despite the unnatural violet lens colour. Natural eyes with no contact lens. Only my right eye wearing Geo Tri Color Violet Lens. 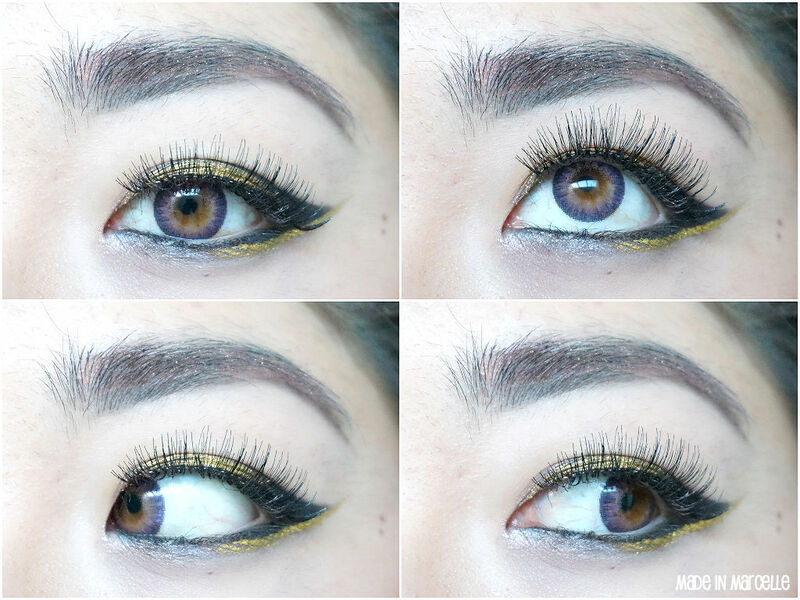 Both eyes wearing Geo Tri Color Violet Lens. As you can see, even though the colour of the contact lenses are violet, when I'm wearing them they almost seem like an extension of my normal eyes. 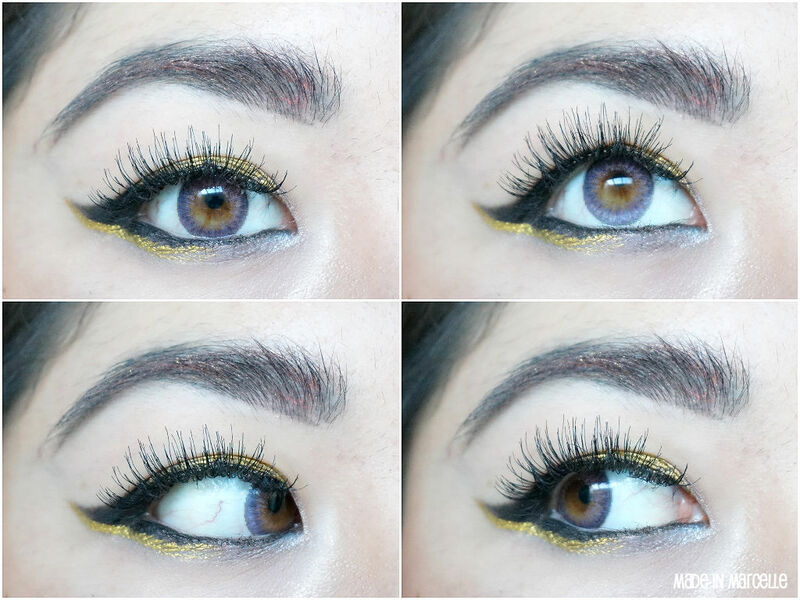 Now here are some more shots with more dramatic eye makeup. The strange thing was how the "hula effect" (lenses leaving the iris and lagging behind eye movement) only happened with my right lens and was completely fine with the left one. Speaking of the hula effect, let's put it to the test. 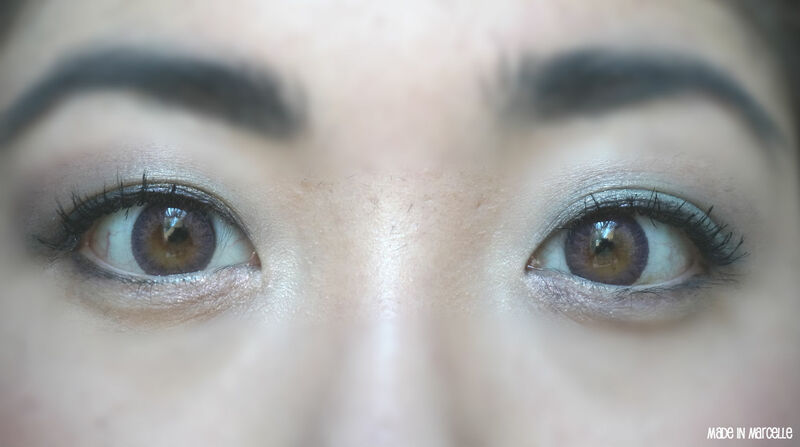 Evident hula effect on my right eye. No hula effect on my left eye. Not clear enough? Well have a look at this. Can you see that? The right lens lags whereas the left one is fine. Strange ey? The tests aren't over yet! Let's see how these contacts look under low light as well as with camera flash. 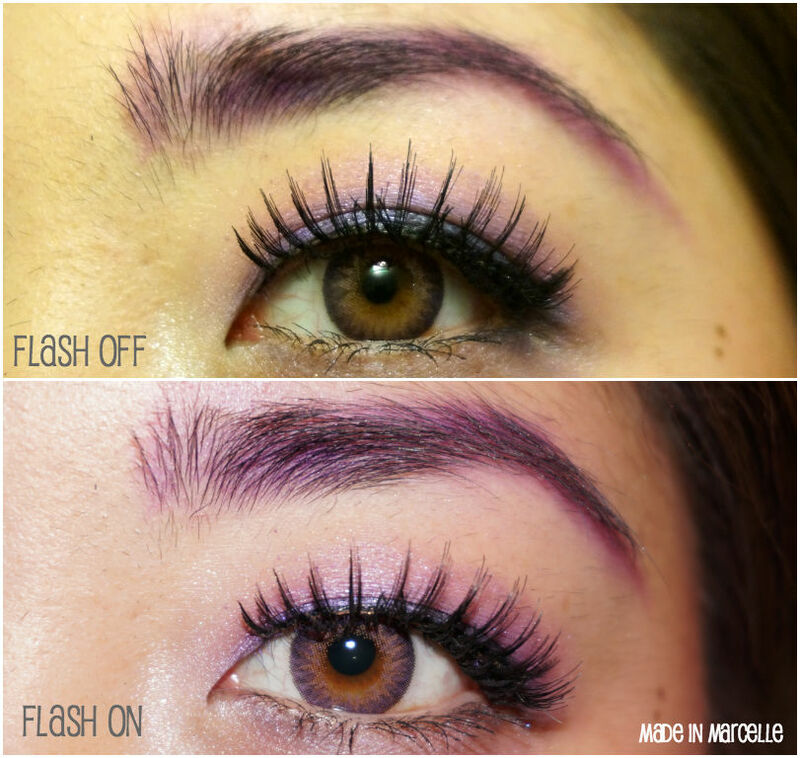 Flash off VS flash on of Geo Tri Color Violet Lens with Violet Makeup Look. 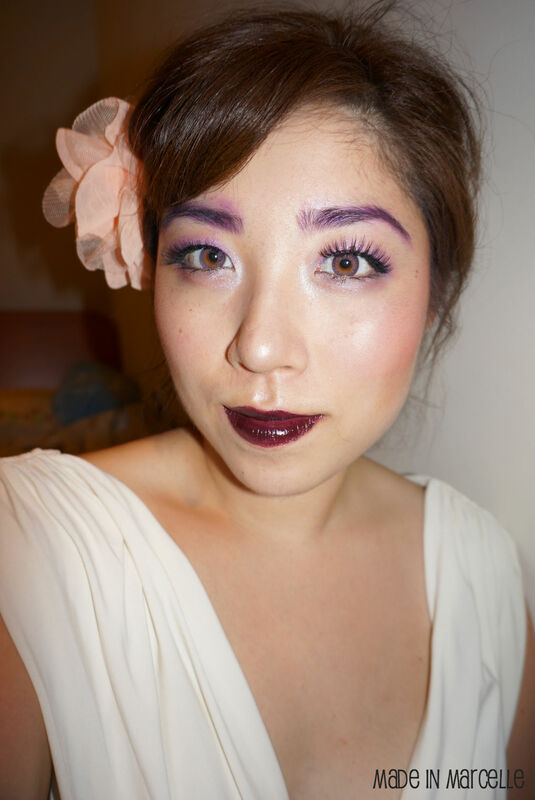 This is a makeup look I did inspired by the colour violet (in case that wasn't obvious enough). At low light I could hardly tell that I was wearing coloured contacts because the lens just blends in seamlessly with my natural eyes. Has that been said enough already?? But it's the truth! And even under flash light it doesn't scream "I'm wearing artificially coloured contacts everyone!" Which is what I love about them. 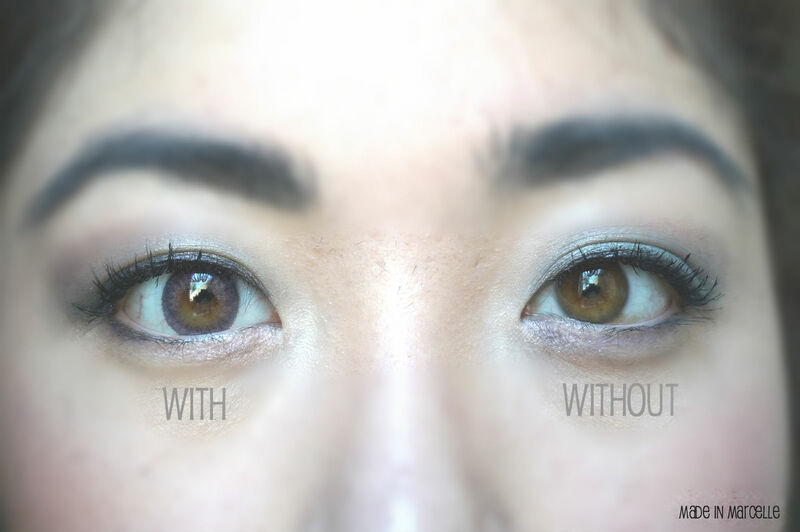 Here are some full-head shots of me wearing coloured contacts. I don't know about you, but If I hadn't known, it would be pretty hard to tell whether I was wearing coloured contacts or not. 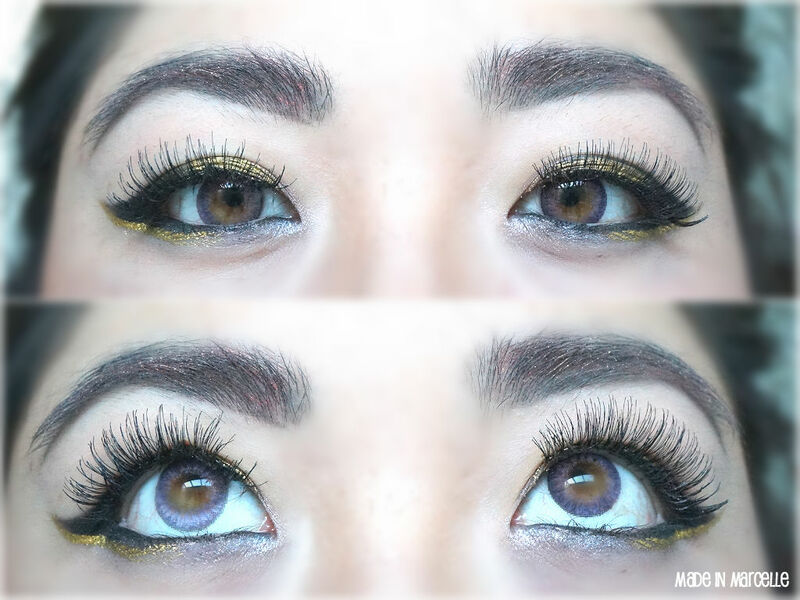 Overall I'm very happy with this pair, and highly recommend these contacts especially if you have light coloured eyes. However be wary of the hula effect that they may have. 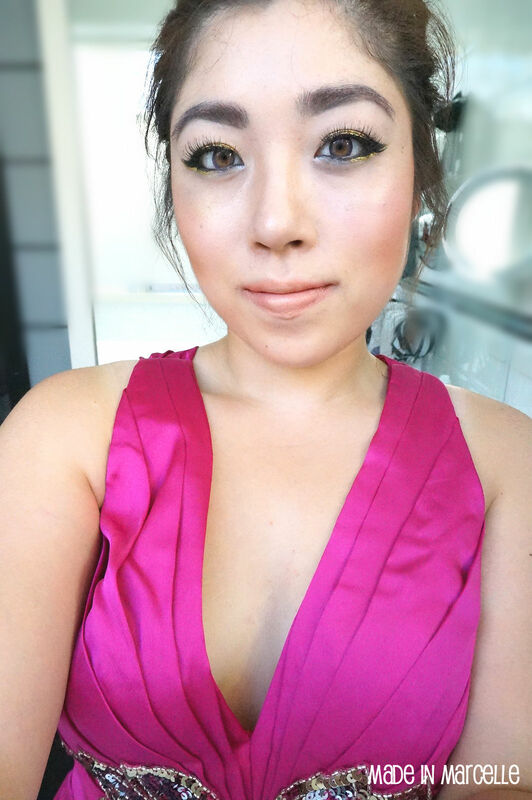 Thank you LensVillage for kindly sending these gorgeous pair of contacts! 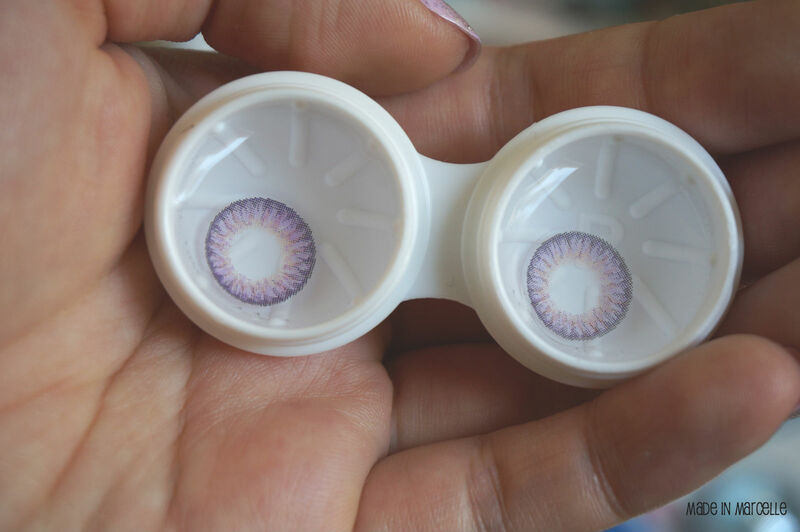 If you guys haven't already, go and check out their website for authentic, affordable, and adorable contacts with great customer service and short delivery time. They've got a promotion going on until the 28th February via Instagram. For full details and T&C click here. 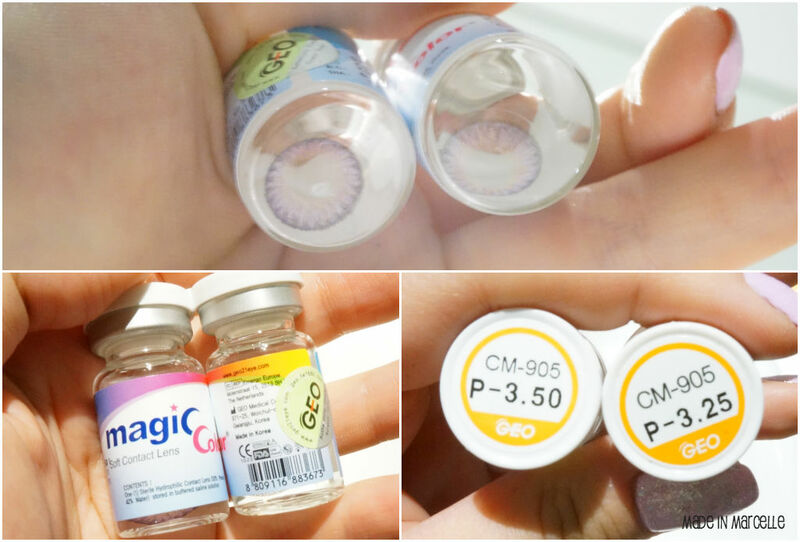 These customized contact lenses look really good best thing is the blogger has managed to review on the prices as well not only the varieties everyone hoping to get the lenses needs to check out this blog.